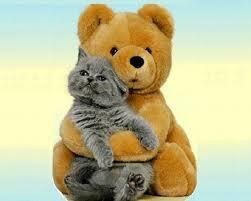 If you own a cat or any pet for that matter, you will already be on the receiving end of lots of love and affection. 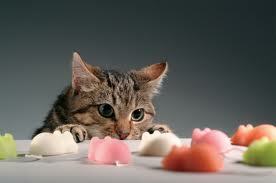 So why not nourish them with the best available cat treats food and toys. In fact, this should be one of your top-most priorities to provide your cat with the highest quality cat treats so that she can grow up in the healthiest way possible. It's a fact that cats are quite sensitive and emotional creatures that require the utmost care and proper nurturing. Though many cat owners spend a fortune on grooming needs for their cats, when it comes to cat treats and supplies, they often forget to include these things in their cat's daily routine. They should remember that the internal health of their cats is just as important if they want their cats to remain playful, active and behave well. Let's have a look at some of the best cat treats and supplies that you can use to treat your cat. Kitty treats: Outside of giving your cat the best food possible, it's OK to provide her with healthy and delicious kitty treats. However, just as we as humans have to watch our food intake, so we must do the same for our pets. Obesity in animals is a big problem with owners over doing it and spoiling their pets. Just use a bit of common sense. You can buy love - without nasty derivatives, chemicals and other mystery ingredients. It is very easy to get healthy cat treats that come in a variety of flavours and are enriched with a range of enzymes, which can effectively prevent any plaque formation. These healthier treats can be found in flavours such as poultry or fish so that your feline friend surely loves her treat. Scratching post: When you keep your cat in your homely atmosphere, there are certain things that cats usually miss, but which are extremely essential for their natural grooming and growth. Scratching is second nature to cats and normally, in the outside environment, cats use some sort of scratching surface to sharpen their claws and remove dead cells. This then exposes their new claws. Don't tell them off, get them the best scratching post you can afford and encourage them to use and play on and around their post with soft cat toys. Let them know this is their stand and a place where they can scratch away to their hearts content! Cat drinking fountain: Like us all, cats need water throughout the day so that all their bodily functions work perfectly and good health is maintained. Cats who are on dry food don't get as much water from their food as those who eat tinned food, and should always have easy access to clean, drinking water to supplement their intake. Rather than just a normal drinking bowl which can get stale and become low in volume, why not get a drinking fountain in your home. This ensures that your pet can freely access water any time she wants. Litter box: Being smart creatures, cats usually don't need much litter box training, just a little encouragement to begin with. To train your cat, start with a small, uncovered box in a quiet place near to where his bed is. I prefer to use the unscented kind of litter, but I'm sure in the end it will be more of your cat's choice than yours. Cat litter works by absorbing cat's urine and covering faeces to reduce the growth of odour-causing bacteria. The litter layer should be at least two inches deep in the box. 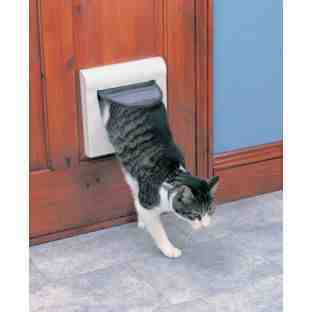 This makes it easier to clean up and gives the cat enough litter to scratch in and bury waste. Plastic litter box liners make the removal easier as well, and can be used with any type of litter. When your cat sniffs at the box, pick him up and put him inside, praising and petting him. When he uses the box, give him a small treat. Keep the box clean and avoid any negative associations with it. For example, don't give kitty medicine or scold him when he's near the box. Getting the right cat supplies and cat treats for your feline friend is a perfect way to make your cat feel wanted and loved, just as all animals should be. Every cat owner knows what divergent creatures cats are - they want to be outside then they want to be inside; at 4.00 am they jump on your head and pester you in their own unique way demanding to go out - half an hour later, they're caterwauling outside the window demanding to be let back in. So you stumble bleary-eyed from the haven of your duvet to let your little darling back into the house. Then, unbelievably, a tweeting bird in a tree half a mile away causes such consternation for your feline friend that it's easier just to turn out from under your newly-warmed duvet to deposit the contrary creature back outside onto the patio. At the first sign of moisture in the air, your cat will want to be inside and at the first hint of sunshine it's the outdoor life they crave. It's little wonder then that the majority of cat owners choose to fit a cat flap - it's a simple solution and allows our feline friends to come and go as they feel they have a right to, without hard-working, oft-scorned domestic servants (yes, that's you) having to jump every time these contrary creatures exercise their feline prerogative and change their minds about where they want to be - again. Yes, a cat flap is, on the face of it, the perfect solution; but then you come to the crunch question "Which cat flap do I choose that's suitable for my home and cat?" with a manual four-way locking system and is reasonably priced. When it comes to providing independence for our feline buddies, a cat flap is second-to-none. As it provides instant access to outdoors it inevitably will increase the exercise levels of your cat, thus promoting good health, lowering the risk of obesity and associated illness such as diabetes. The cat flap also gives instant access back to the safety of your cat's "fortress" which is, after all, what he considers your home to be. This instant access provides peace of mind, comfort and security for your cat should he or she feel the need to escape from potential attack or simply to come in out of the rain. If you are at work during the day, a cat flaps removes the inconvenience of your little prince or princess being stuck outside or contrariwise, stuck indoors until you return home. Cats are one of the most popular pets in the United States. People love them for their interesting personality and beautiful fur. However, many people don't know how to properly care for their pets or even know if they are sick. Like humans, cats also get sick. Of course, cats cannot directly communicate with us to let us know they need aid and attention. You need to be an observant pet owner in order to recognize the key signs of cat illness. 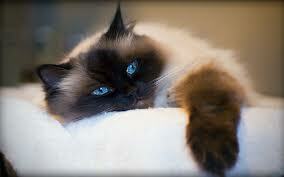 You also need to know the basics of treating various cat diseases and ailments. If you are interested in learning more about caring for your cats, be sure to check out this article. As a pet owner, you have to pay special attention to your furry friends. Minor changes in diet and behaviour can indicate sickness or unhappiness. This could be indicative of a small problem or a serious medical issue with your cat. If you sense that your cat or pet is acting strangely, be sure to research their symptoms thoroughly. If you are unsure it is always a safe choice to visit a veterinarian near you. One of the most obvious behavioural patterns that should catch your attention immediately is when your cat refuses to use the litter box. They might litter outside the house or in the house, but never touch a litter box. This can signify that your cat has kidney failure or a urinary tract infection. Both of these medical conditions are very serious and you should consulate your vet immediately if you suspect your cat has either of these problems. Increased thirst and diet or decreased thirst and diet can also be an indicator on a troubling problem. If you notice your cat drinking a lot, they could possibly have pyometra or hyperthyroidism. On the other hand, loss of appetite could be caused by anaemia, injury, dehydration or stomach problems. Loss of appetite can also result if your cat has certain oral problems such as gingivitis or stomatitis. However if you own a kitty, you might expect to see an increase in their diet as they grow larger, so don't worry too much. A cat's fur coat is also a great indicator for your cat's happiness level. Cats love to lick and clean their fur as well as groom their bodies. If your cat has dirty or unattended fur, it could be a clue that your cat is stressed or doesn't feel well. They could have malnutrition or be affected by parasites. They could also could have a skin disorder such as fleas. Both malnutrition and parasites can cause extreme harm to cats, especially if they are left untreated for a long period of time. If you want to reduce your cat's chance of sickness, be sure to give them plenty of attention and as well as the right quantity of food and water. Also, never hesitate to contact your vet if you suspect your cat is sick. I hope this article was helpful to you about cat sicknesses. As humans we all know the drastic effects stress can have, but we have an outlet - we can tell people about how we feel. That is of course not an option available to our four-legged or winged companions - it's up to owners to detect and prevent, as far as possible, the effects stress is having on our pets. Individual animals react quite differently to stressful situations such as visiting the vet, loud noises, the arrival of a new pet (or new baby), separation from the pet's owner, staying in boarding kennels or moving to a new home - these are just a few of the situations which can result in stress being suffered by your pet. What we might consider an insignificant change may in fact be a major upheaval for your pet. The old adage, "prevention is better than cure" is certainly appropriate in this case and whilst natural remedies are now becoming more and more widely accepted in the treatment of humans, it is now coming out of the shadows in the treatment of animals. Stress in dogs can be caused by many different factors but tends to trigger erratic, unusual behaviour which can be irritating for owners. Excessive barking - possibly a sign of fear which is a response to stress. Destruction - in a dog which has previously not exhibited this type of behaviour since they were a pup. House soiling - changes from being fully house-trained and clean to accidents happening on a more or less daily basis. Body odours - bad breath is a common occurrence in dogs suffering from stress due to the secretion of gastrointestinal acids. Excessive grooming - can include constant tail or genital licking. One excellent product on the marketplace to help prevent and alleviate the effects of stress on pets is the Natural De-Stressing Calming Diffuser from Pet Remedy. It contains only natural remedies already well recognised for the treatment of anxiety and resulting stress. The effects of the diffuser are to gently soothe and calm your pet without any sedation. The plug-in for the diffuser utilises a blend of essential sweet oils including Basil, Sweet Sage, Valerian and Vetivert. The diffuser is suitable for use with all domestic animals including birds and mammals and also has a soothing effect on you, the owner - which is an added benefit. Each plug-in will last for approximately six weeks and refills are readily available. In addition to the plug-in device and bottle of oil (40ml) the pack contains a diffuser which can be hung in the car or over your pet's bed or crate. Simply place a few drops of oil onto the pad and the soothing aroma of the oil will gently dissipate through the air providing a calming, soothing effect on your pet to help combat the effects of any stress suffered. In my opinion cats aren't aggressive towards other cats for no reason. Don't forget they are related to the larger wilder versions of the cat family. Of course they hunt, have territorial and survival instincts, which will bring out their natural, aggressive streak, but for them to be hostile otherwise could mean that they have suffered some type of trauma. Problems will arise in your household if you own more than one cat with behavioural problems. Different types of cat on cat aggression can be identified and associated to an origin. Whatever aggression is displayed by your cat it can help you to observe and note down their behaviour, in order to get to the root of the issue. If you have a rescue cat, that may have had a traumatic background, then you will have to be very understanding and observant to their needs. Allowing them their little quirks and habits is usually not a problem for most owners, but attacking behaviour towards any other cats you have could be a dangerous situation. Ask yourself if you're prepared to take this on before visiting an animal shelter and find out as much as you can of their past. Think about your other cats characteristics and how it will affect them. You will only add to the new cats trauma if you have to take them back to the centre. Some wounds never heal, remember you may never fully understand or know your new cats history. So, if you are taking a rescue cat on, keep in mind that patience and lots of love are the best treatments for any cat that has had a disturbed background. Maternal aggressive, behaviour usually only occurs in mother cats. Although some male cats will be protective over a litter of kittens as well. Some female cats are thankful of other cats when they look out her new litter; others will be very possessive and protective and will not trust another cat to be nearby. The over-protective mum will have a fight with any cat, male or female, it won't matter to her. She can inflict serious damage to the other cat if she senses any threat to her kittens. The most common form of hostility between cats is inter-male aggression. Of course, in life, you will get the more dominant male on occasion (boys will be boys) and he'll usually fight for the highest cat position in the household. The pecking order of a cat's social structure means that one male should be in charge over all others. When another male cat enters the household, one of the two cats will instinctively claim the - top cat - position. Usually, one of the male cats will back down and the leader will be decided. However, if both male cats are equally assertive, it could present for an alarming situation. Territorial, aggressive behaviour between cats can be directly associated to inter-male aggression, because both types of aggression are attempting to hold the dominant position. By nature cats are very territorial and don't always take kindly to a new cat being introduced into their home. While some cats may be friendly and docile, others can be highly territorial and may attack the new cat so that the top position can be owned. Although territorial aggression is slightly more common in male cats, especially those that are not neutered, female cats are not exempt from acting in a territorial manner. The best way to help feline aggression is to figure out which type your cat has. All varieties are behavioural problems, but humans have to understand that they're still natural behaviours. Therefore you cannot punish an aggressive cat. This will not help him or you. You can't erase his natural instincts. These tips may help you to deal with an aggressive cat. Firstly deal with the aggression by trying to work around it. Maternal aggression is not something you can interfere with, there is no way to discipline a mother cat without making her turn on you. Reprimanding her will only make her think that humans can't be trusted around her litter, as well. The main thing you can do is to keep the kitten den away from other cats in the household until the mother cat accepts that her kittens are not in danger, and that she can trust other cats in the home. Inter-male or territorial aggression is usually not serious, the best way to settle the matter is to let the male cats figure it out between them. They will determine who will be the dominant male in the house, not you. While a cat owner should never excuse fighting, the matter can be easily resolved if the male cats can naturally select who the leader will be. Sadly, if the cat aggression becomes too serious and dangerous, one of the cats may have to be re-homed.